Major League Baseball players don’t wear helmets because they are under the mistaken impression they add to the visual drama of the game. No, those none too flattering pieces of headgear serve a valuable purpose – keeping the individuals safe from injury. Need a little more convincing? Well, imagine a high-velocity baseball heading in your direction: contact with your upper body, never mind your head, could prove fatal. Reason enough to make sure that every precaution has been taken to ensure that impact is kept to a minimum. 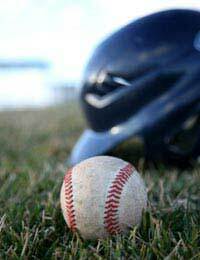 The subject of protective equipment is always a sore one – forgive the pun – in many sports, and baseball is no different. After all, taking to the field with friends and team-mates should be all about having fun. Who needs someone nagging about faceguards when the discussion should really be about home runs and strikes? But that’s the whole point: in order to ensure everyone has a good time, it is essential that everyone suits up, whatever level of ability they are. The talk in the post-game locker room should be all about victory or defeat, what might have been with a little luck on your team’s side, rather than anxiously wondering about an injury one of the players could suffered. All this anxiety can be eliminated by ensuring the right protective equipment is both available and, most importantly, utilised by everyone. Every coach should be ready to stamp down hard on any show of bravado that involves not wearing the correct safety gear. In the case of baseball, the right gear should include helmets fitted with a face guard, leg guards, chest protectors, throat guards, mitts, batting gloves, and boots with moulded cleats.Injury, of course, doesn’t necessarily have to arise because of contact with the ball. Think about a runner sliding into an unforgiving base, for example. It is for this reason that many leagues use breakaway bases that are designed to absorb the impact of an individual colliding with it at speed. Then there is the age-old problem of players failing to follow their correct warm-up routine. It is so easy to tweak a hamstring or pull a shoulder muscle because you were in too much of a hurry, or were simply too arrogant or lazy, to go through your stretching exercises to ensure your body was ready for the sudden stresses and strains you inflict on it as the heat of battle on the field got underway. Coaches should also be mindful that the players under their command complete a similar warm-down programme before heading for the locker room. It does not matter whether you are a member of the all conquering Boston Red Sox team or a little leaguer dreaming of following in the footsteps of your heroes, if you want to be a serious player, then you’ve got to make sure that you protect your most important piece of equipment: your body. Fail to prepare, prepare to fail, goes the old adage. When it comes to safety, failure will be the last thing on your mind as you sit in the physio’s room nursing an injury that could so easily have been avoided. You have been warned.